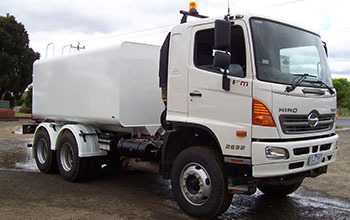 Epsom Steel Water Trucks specialise in custom built tanks to your design and specifications. We are a "one stop shop" on all purpose built vehicles. 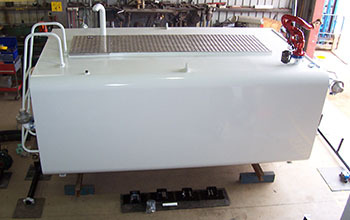 Water truck tanks come with a nominal 8,000 - 13,000 - 15,000 - 18,000 litre capacity. Water Tanks are custom built with 6mm steel tanks and three internal baffles and stiffening members fully welded for maximum structural integrity, they also come with scalloped corners to counter surge the load but also allow water flow. 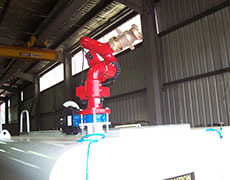 All water tanks built by Epsom Steel - Bendigo come with the internal pipes with grooved clamp ( victaulic type) fittings..
Epsom Steel Bendigo Water Tanks come with both overhead and hydrant fill options with overhead access to the tank compartments via the rear ladder. Our tanks have both front and rear water level indicators and the dribble bars can be pressure fed or gravity fed. 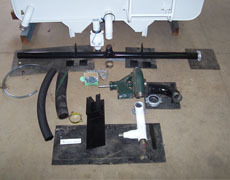 The tank to chassis spring mounts to mine specifications. Electric or Air cab control. Copyright © 2013 - 2019 Epsom Steel - Water Trucks. All rights reserved.